William James Warr married Elizabeth Coleman on 8 July 1878 at St. Martins Church, Fenny Stratford. The 1881 census shows they were living at Back Lane, Fenny Stratford; William’s age was given as 24 years old and he worked as a Fireman on the London & North Western Railways; Elizabeth was 20 and a housewife, they also had two children, Alice May, aged 2, and William Jnr aged 5 months. Ten years later at the 1901 census they had moved to St. Martins Road, and there were another two children, Percy 9 and Frederick 5. Robert was living at 105 Eden Terrace, Auckland and working as a stoker for the Portland Cement Company when he joined the New Zealand Expeditionary Force on 20 February 1915, aged 23. He was not married and gave his next of kin as his father who was then living at 15 South Terrace, Bletchley. He also declared that he had previously served for three and three quarter years in the Royal Navy. 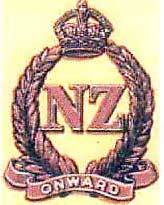 He underwent training in New Zealand until 12 June 1915. The 1914-15 Star was authorised in 1918 and was awarded to those who saw service in France & Flanders between 23 November 1914 & 31 December 1915 and to those who saw service in any other operational theatre between 5 August 1914 & 31 December 1915. The British War Medal 1914-1920, was authorised in 1919, and was awarded to eligible service personnel and civilians alike. The basic qualification requirement for army personnel was that they entered a theatre of war between 5 August 1914 and 11 November 1918, or served in Russia in 1919/20. The Victory Medal was also authorised in 1919 and was awarded to all eligible personnel who served on the establishment of a unit in an operational theatre. The cemetery is so named because buildings that originally stood on the site reminded soldiers of the Northumberland Fusiliers of cottages that stood on the river Tyne in northern England. The site on the Passchendaele-Broodseinde road, contained several German Pill Boxes and was taken on 4 October 1917, by the 2nd Australian Division during the advance on Passchendaele during the 3rd Battle of Ypres. From the date of its capture to the end of March 1918, 343 burials took place, the area then passed back into German hands from 13 April to 28 September 1918, before being liberated for the last time. After the war, the battlefields were cleared and the remains found there, plus those from several smaller cemeteries were consolidated at Tyne Cot, increasing the number of Commonwealth burials to 11,953, of which 8,366 are unidentified, thus making it the largest Commonwealth War Cemetery in the world. Four of the German Pill Boxes were incorporated into the design of the cemetery, and the Cross of Sacrifice actually stands on the top of the largest of these. The north-eastern wall of the cemetery is formed by the Tyne Cot Memorial, which is one of four memorials to those who have no known grave in Belgian Flanders, and which marks the furthest point reached by Commonwealth forces in Belgium until mid 1918 when the Allies broke the Germans and started on the final advance to victory. On this wall are engraved the names of almost 35,000 servicemen from the United Kingdom and New Zealand who died in the Ypres Salient between 16 August 1917 and 11 November 1918, and who either have no grave, or whose graves are not known. 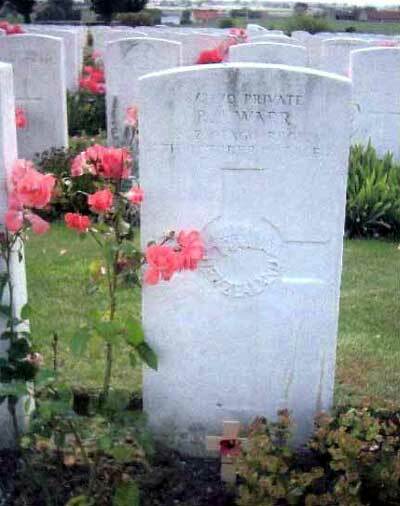 (1) This does not tie in with the date of birth, 28 October 1891 that Robert gave on his Attestation Papers. The 1891 census was taken on ? April, 1891, Robert was declared on this a being a few months old and so presumably he must have been born on 28 October 1890.